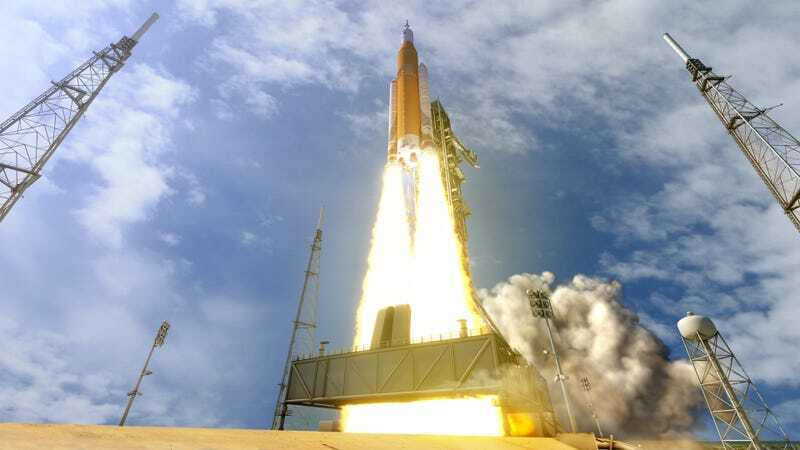 Conceptual image of NASA’s SLS rocket. NASA Administrator Jim Bridenstine speaking to the Committee on Science, Space and Technology on April 2, 2019. Speaking to the Committee, Bridenstine provided no specific details in terms of the “additional means” required, aside from telling Congress that NASA will be submitting a budget amendment request for the 2020 fiscal year given the new directive. As it stands, NASA is asking for $21 billion—but that was before the accelerated timeline. The amendment should be ready for Congress by April 15, he told the Committee. That NASA hasn’t tabled a budget amendment yet is wholly understandable, considering the directive was dropped onto the space agency just last week. “By moving up the Moon landing by four years we can move up the Mars landing,” he said. “Mars is the proving ground. We have to be able to utilize the resources of another world,” he said, such as gaining access to frozen water-ice.